From 25 November, International Day for the Elimination of Violence against Women, to December 10, Human Rights Day, the United Nations UNiTE Campaign: 16 Day of Activism to End Gender-based Violence is a time to galvanize action to end violence against women and girls everywhere. As a bright and optimistic colour, orange has been chosen by the United Nations as the colour to represent the Campaign’s goal of a future free from violence. 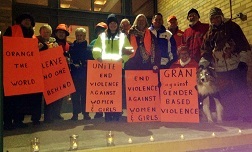 Sexual and gender-based violence is one of the most pervasive and egregious human rights violations. Although older women in Africa are strong and resilient, they are also among the most victimized groups. They have been disproportionately impacted by the AIDS pandemic which is both a cause and consequence of violence against women. The violence they experience remains largely invisible, and “uncounted”. It often begins in childhood and is exacerbated by early marriage and exclusion from health services, education and economic opportunities. 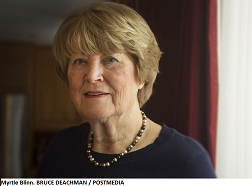 Transitions to motherhood, widowhood and aging increase their vulnerability. Canada has made gender equality and the empowerment of women and girls the cornerstone its Feminist Foreign Policy. 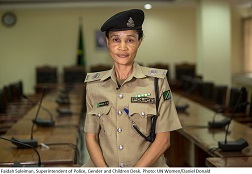 This includes initiatives to enable the fight against sexual and gender-based violence, that support women’s organizations promoting women’s rights, that enhance institutional capacity and that build the evidence-base for gender equality action. This year during the 16 Days of Activism GRAN will spotlight the multiple challenges that older women in sub-Saharan Africa face: access to life saving medicines, access to life-long learning and freedom from violence. Our goal is to raise awareness in our own communities and beyond. 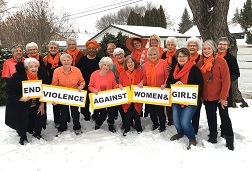 Our call to action is to challenge the Canadian government to fully fund and implement its Feminist International Assistance Policy that will improve the human rights of grandmothers in sub-Saharan Africa. 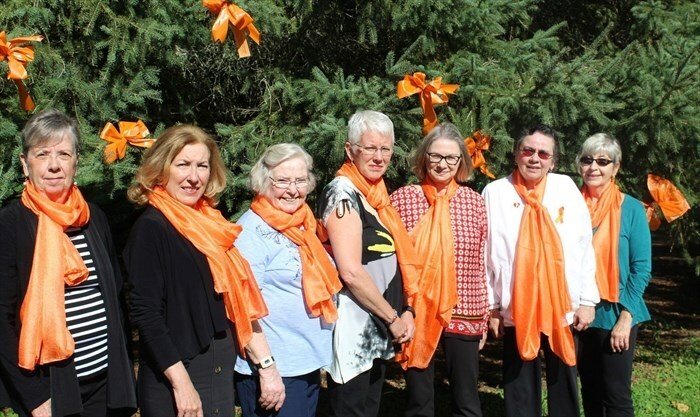 We are calling on our Parliamentarians to stand in solidarity with women around the world by wearing ORANGE in the House of Commons during the 16 Days of Activism.